This article will acquaint you with what's new in our latest release BlueStacks 4. Simple and lean experience. Improved performance with more efficient resource handling, lowering both the CPU and memory consumption compared with previous versions of BlueStacks. All users who wish to use a new and better version of BlueStacks. BlueStacks 4 takes you back to its Android roots - the home screen is simple, lean and clutter-free, with no tabs, as shown below. You may choose to launch services App Center, BlueStacks World etc only when you desire to use them. The all-new Dock integrated to the BlueStacks provides you with a clean clutter-free look. 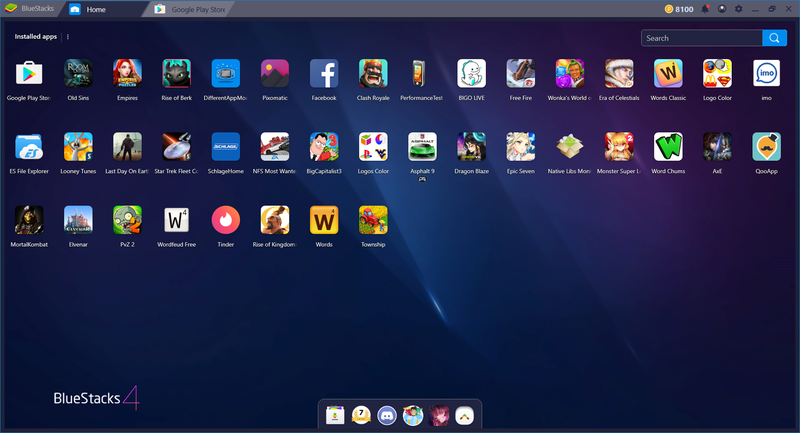 The Dock is a bar located at the bottom of the BlueStacks Home screen and provides you with quick access to important features that are essential for using BlueStacks. Take a look at this link to find more. The CPU and memory consumption on your machine is optimized because it is simple and lean, providing you a smooth and zippy experience. The new keyboard controls editor provides you with a modern user interface that makes creating new key maps and using existing keyboard controls simple, intuitive and easy for use. New and precise controls let you play faster and smarter. Take a look at this link to find more. Last updated on August 23, 2018.